Each book in this series follows a vehicle on its journey across five beautifully illustrated spreads, with holes in the pages playing an integral part in driving the narrative. Little ones will love finding the holes with their fingers, peeking through, and turning the page to see what the holes become. 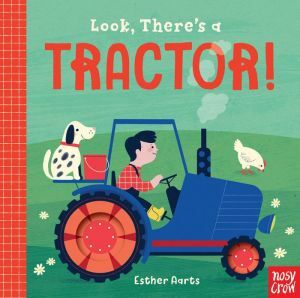 With gentle rhyming text encouraging children to answer questions, this journey to the farm will be requested time and time again.